Processed foods have taken over most of the food we eat at the expense of those included in healthy nutritional advice. Many of us seem to be removing most of the fresh produce, fruits and vegetables, proteins and fibre from our diets. Along this process, sugar was added to make packaged foods on the shelf stable. It has been estimated that added sugar is present in 77 per cent of grocery store items. Sugar is widely available and cheap. It is estimated that over the last decade, global sugar consumption has grown from about 130 to 178 million tons. The kind of sugar being consumed is known as ‘free sugars’. Free sugars are any sugars added to food or drinks, or those found naturally in honey, syrups and fruit juices. Added sugars are found in foods such as sweets, cakes, biscuits, chocolate, soft drinks and juices. For example, a soft drink can could contain as much as nine cubes of added sugar. Sugars are also present naturally in foods such as fresh fruit and milk, but these natural sugars can be consumed as part of a healthy balanced diet. Added sugars are associated with many major risk factors of heart disease, including obesity, diabetes, dyslipidemia, chronic inflammation and hypertension. Studies have shown that dietary sugars are independently associated with coronary heart disease and that there is a significant relationship between the consumption of added sugars and an increased risk of cardiovascular mortality in adults. Higher intakes of free sugars in both food and drink contribute to the overall energy density of diets and to the risk of unhealthy weight gain at the cost of reducing the nutrient quality of diets – by providing significant energy without specific nutrients. Evidence shows that energy-dense foods, sugary drinks and fast foods contribute to weight gain, overweight and obesity by promoting excess energy intake. Furthermore, frequent consumption of sugar is considered as a high risk factor of dental caries. This occurs when the bacteria present in the mouth convert the free sugars derived from the diet into acid. This acid causes demineralisation of the tooth enamel and the underlying dentine, which eventually leads to loss of tooth structure. 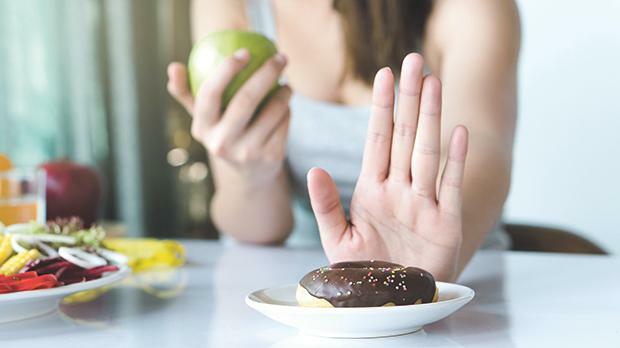 The World Health Organisation’s sugar guideline, issued in 2015, aims at tackling the problem of overconsumption of sugar to improve global health and reducing non-communicable disease (NCD) risk. It strongly recommends reducing the consumption of free sugars throughout the course of our life. It is recommended that adults and children restrict their sugar intake to less than 10 per cent of total energy intake per day – which is the equivalent of around 12.5 teaspoons of sugar for adults – and a further reduction of sugar to below five per cent of total daily energy intake. Malta has a high problem of overweight and obesity across all ages. We have seen an improvement in adolescents aged between 11 and 13 but we are still burdened by high rates so we need to further enhance our strategies in this area. The Health Behaviour in School Children (HBSC), 2014 gave us some information on the consumption patterns of adolescents. The fact that Malta features top among all surveyed countries in terms of daily soft drink consumption – for 11-year-olds and 15-year-olds and third highest for 13-year-olds – is striking. The rate of consumption of soft drinks is much higher than the HBSC average. When compared to data in 2010, there was a decrease in consumption for all ages and gender except for an increase in 15-year-old boys. Sweets consumption is near the HBSC average. • Choosing wholegrain breakfast cereals and avoiding those coated with sugar or honey. • Setting specific, quantitative goals for reducing the consumption of added sugars is crucial for reducing the obesity and non-communicable disease burden across the globe, especially in Malta, where we have a high incidence of obesity, diabetes and NCDs. A concerted effort by all stakeholders needs to be taken. • A comprehensive approach is needed to reduce sugar consumption. Policy can reduce sugar intake by influencing the availability of sugar and sugary products, affordability, acceptability of sugar and its alternatives and awareness of sugar in products. This is important in view of the burden of illness being imposed on the country’s resources and budgets.